TMZ is reporting that Brittany Murphy has died at age 32. We're told Murphy was taken to Cedars-Sinai Medical Center where she was pronounced dead on arrival. 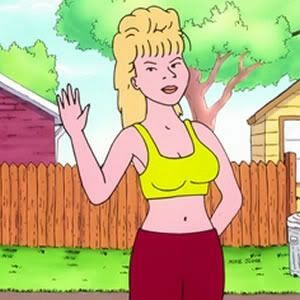 Murphy is best known, to me at least, for voicing Luanne Platter in over 200 episodes of King of the Hill. She appeared in over sixty movies and TV shows in a career spanning nearly twenty years.